Cold War Modern. Design 1945–1970. Victoria and Albert Museum, London, 25 September 2008 – 11 January 2009; National Art Gallery of the Lithuanian Art Museum, Vilnius, 2 October – 7 December 2009. Catalogue: David Crowley/Jane Pavitt (eds. ), Cold War Modern. 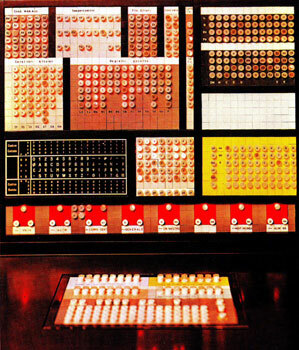 Design 1945-1970, London 2008. All pictures are taken from the exhibition catalogue. 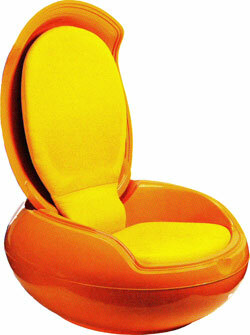 Peter Ghyczy, Garden Egg Chair, 1968. Manufactured by VEB Synthesewerk Schwarzheide, GDR, 1972–1975. Cover of the French left-wing art magazine ‘Opus International’, 1968, by the Paris-based Polish artist Roman Cieslewicz. Some of the most fascinating items presented include a first version of the famous Vespa scooter produced by Piaggio (1951), which was the first big eye-catching object of the exhibit, brightly lit in a rather dark atmosphere. While strolling around, the visitor’s ears were beset by a loud mixture of sounds emanating from different audio-visual presentations, clearly recognizable as belonging to the 1950s and 1960s due to their specific quality, the musical background and the accents, particularly in English. 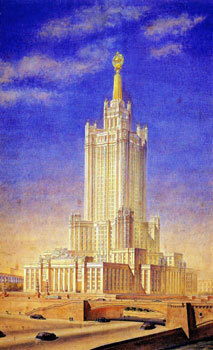 The visual landscape was no less dazzling: the visitor’s attention was caught by a watercolour of the eighth high-rise tower-block planned for Moscow by Dmitrii Chechulin, but never built (1947), Pablo Picasso’s famous colourful scarf to commemorate the World Festival of Youth and Students for Peace held in Berlin in August 1951 or the black-and-white picture of an impressive 100-ft-dome designed by the firm Geodesics, Inc. for the US pavilion at the International Trade Fair in Kabul (1956). Dmitrii Chechulin (architect) and I. Tigranov (structural engineer), administrative building in Zariad’e, the eighth high-rise tower-block planned for Moscow (never built). Watercolour and ink on paper, 1947–1949. 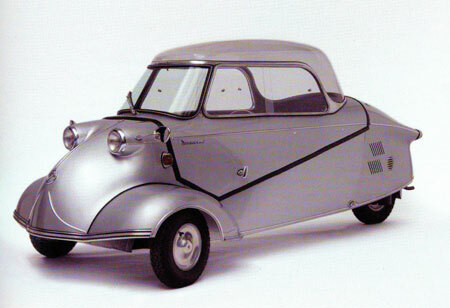 Right next to the Vespa and attracting equal admiration was the Kabinenroller KR 200, a vehicle consisting of a Messerschmidt cockpit on three wheels (1955), a hyper-modern artefact bathed in the booming sound of an IBM propaganda film called ‘On Guard! The Story of SAGE’, in which a solemn, nasal male American voice reassured Americans that IBM computers would help protect them in the upcoming spy-war (1956). In another room which managed to capture the specific ‘Eastern’ atmosphere and conferred on the visitor the sudden impression of having ventured beyond Checkpoint Charlie at the end of the 1950s - perhaps thanks to a greenish wall colour highly reminiscent of official buildings in communist countries -, the East German sports car P70 coupé made out of Duroplast (1954) made a striking appearance. Corradino D’Ascanio, Vespa 125CC, motorscooter. Manufactured by Piaggio & Co., 1951. Walter Ende, P70 coupé, Duroplast (plastic) body. Manufactured by VEB Automobilwerk AWZ, Zwickau, GDR, 1954. Fritz Fend, Messerschmidt Kabinenroller KR 200. Designed in 1955, manufactured by Fahrzeug- und Maschinenbau GmbH, Regensburg, FRG, 1959. 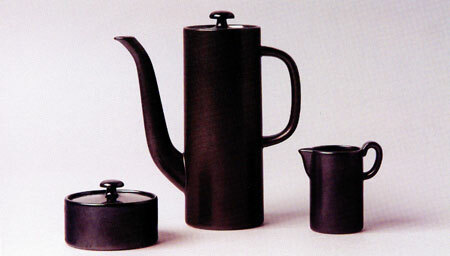 Hedwig Bollhagen, coffee set, model 558. Manufactured by HB-Werkstätten für Keramik, Marwitz bei Velten, GDR, 1961. Further afield, one could stop before a black ceramic coffee set designed in the GDR by Hedwig Bollhagen, which never went into production because Walter Ulbricht deemed it ‘not joyful enough’ (1961), or in front of a decorative glass object with concave surfaces by the Czech artist Václav Cigler (1968-1970). This part of the display, however, was more reminiscent of a decorative arts museum than of daily life in all its triviality - especially behind the Iron Curtain. Meanwhile, the propaganda films shown at the American National Exhibition in Moscow (1959), which were intended to demonstrate the superiority of the American Way of Life, occupied an entire wall in the following room and loudly produced the same massive and irrepressibly modern effect of consumer society they must have had at the time on disbelieving Muscovites. An atmosphere reminiscent of a John Le Carré novel was ever-present, for instance while contemplating a Kenneth Adam sketch of the ominous War Room from the film ‘Dr. Strangelove or: How I Learned to Stop Worrying and Love the Bomb’ (Stanley Kubrick, 1964), while the James Bond film ‘Dr. No’ (Terence Young, 1962) competed with the final scene of the said ‘Dr. Strangelove’ film - and with one of the most absurd scenes of Jean-Luc Godard’s film ‘La Chinoise’ (1967) - to fill the room with screams. 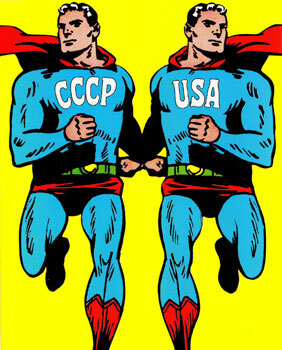 The ‘Opus International’ magazine cover showing two equally muscled Supermen called ‘CCCP’ and ‘USA’ (1968) or a complicated listening and filtering device hidden in gloves and a helmet called ‘Personal Instrument’, an art object by Krzysztof Wodiczko (1969), which filtered out, blocked or spied on all sounds, symbolizing both the surveillance of the Secret Police and the voicelessness of the people under communism, completed this human feeling of helplessness in the face of the superpowers at work. Vice President Richard Nixon with Nikita Krushchev at the American National Exhibition, Moscow, 1959. 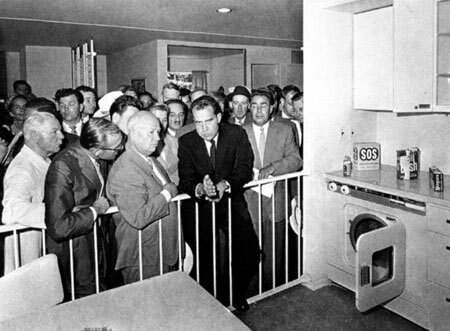 The exhibition vividly illustrated the ideal image of American mass consumption and domesticity for the Soviet public. At other times, the exhibit alternated between high-tech spy equipment, space-age housing, Soviet propaganda joyful soap-operas or brutal reminders of the grim reality of the Cold War: the invasion of Czechoslovakia in 1968 with the famous Josef Koudelka picture showing empty Wenceslas square and his watch on 22 August 1968, which symbolized the end of the Prague Spring. The overwhelmed ‘time tourist’ was also plunged into star wars in a spaceship room containing not only classical space capsules and astronaut clothing, but also a scale-model of the - quite unknown but unforgettable - rocket-shaped Jetìd telecommunications tower in Liberec, Czechoslovakia (1968-1973) and a Pierre Cardin dress entitled ‘Cosmos Womenswear’ made of colourful plastic square patches zipped into one another (1967). The 1968 Western rebellion movements were also not forgotten, for instance with the characteristic Paris May 1968 poster ‘Voter c’est mourir un peu’ (To vote is to die a little). This section also featured John Lennon-like, ‘make-love-not-war’-style, utopian and environmental movements as well as movements critical of consumer society, for example artistic endeavours such as the photomontage ‘Zünd-Up’ - a phantasmagorical pinball machine installed over Karlsplatz in Vienna that would solve traffic congestion problems by pulverizing cars in a destruction game (1969). 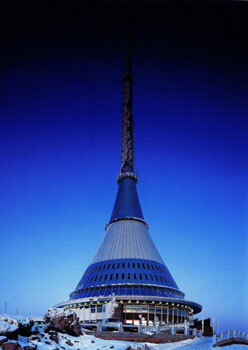 Karel Hubáček, Ještěd telecommunications tower and hotel, Liberec, 1968–1973 – perhaps the most extraordinary architectural achievement of the period of communist rule in Central Europe. As the 18 thematic articles comprised in the superb catalogue testify, the exhibit was not only well-crafted and appealing on the visual and auditive levels, but very ambitious intellectually and well researched. It did not limit itself to showing objects, but developed its own, state-of-the-art vision of the Cold War through explanatory panels provided in each room, the choice of artefacts and accompanying item descriptions. The curators justly revised the usual clichés and assumptions by showing how the arts and design were conscribed even by the Western, ‘free’ states for propaganda purposes, while on the other hand design, beauty and craftsmanship were not defeated by the communist regimes. They articulated their messages in a sophisticated superimposition of rational and emotional approaches, working via objects and their explanation through (con)texts, but also staging environments and recreating ‘realities’. The sound and light effects plunged the visitor into a captivating atmosphere that allowed him or her to travel back through time while the outside world stood still. Ettore Sottsass Jr (designer) and Mario Tchou (engineer), Elea 9003 computer, Olivetti SpA, 1959. Sottsass, aware of the anxiety-inducing image of computing, gave his apparatus a colourful visual interface and introduced a human scale to its monolithic components. One possible point of criticism, however, is that this vision of the Cold War based on competition in modernity was in some ways over-determined by Western intellectual paradigms. One of its main assumptions is that the competition between the superpowers was a relatively ‘equal’ one. The showcase for ‘equality’ is of course the space race where, thanks to its first manned space flight, the USSR successfully challenged the US in terms of prestige - and of technical resources. In the exhibit shop, one could buy - for £25 - the famous ballpoint pen designed by the Americans after they realized it was impossible to write with a regular pen in gravity-free atmosphere. After two years and $2 million spent on research, NASA engineers came up with a pen that could write in all atmospheres and temperatures in the 1960s. Confronted with the same problem, the Soviets elected to write in space with a pencil - also sold in the shop for £1.99. However, this egalitarian vision tends to convey the false impression that design, commissioned or not, reflected everyday life and consumption in a similar fashion on both sides. It did not. Consumerism was a highly political issue in the East (‘catching up with the West’, as promised by the Khrushchev doctrine), whereas it represented the antidote to politics in the West. At the time, the amusing pencil anecdote probably sounded less entertaining to ‘Eastern’ populations who were confronted with postwar hardships and shortages for much longer than Western societies, to a large extent until communism’s demise in 1989. Western design, even when used, promoted, commissioned or instrumentalized in the context of the superpower competition, meant a benefit for citizens in their everyday lives. 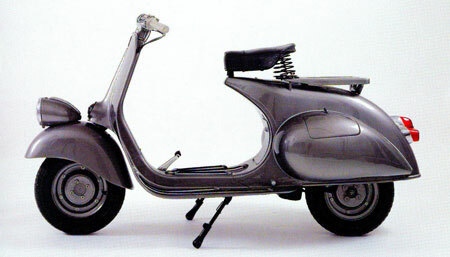 The Vespa scooter, for instance, was not only good-looking and symbolic of Western prosperity in design contexts - it has also defined a genuine way of life for generations of Westerners. 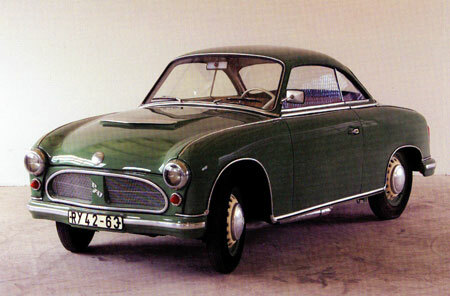 In contrast, the superbly crafted 1954 East German P70 coupé was demoted to mass production only in the form of the ubiquitous Trabant, which certainly has its nostalgic adepts until today, but whose practicality for its users at the time could not be compared to that of a standard Western car. The hardship of the postwar years and of the early 1950s, the rigidity and paternalistic nature of social relations and the difficult task to deal with a horrific recent past (the Second World War) were determining factors of the Cold War years in the West, as was the impact of the encounter with American culture and consumerism. Yet, these aspects are singularly underrepresented here. To point out that art and design were worthy and respectable also in the East, even under Stalinism, is a noble endeavour. But to effectively ‘rehabilitate’ Cold War history as seen from the East, the curators would have had to point out that ‘Cold War’ is a concept that does not even exist for the populations concerned and that has almost never been used in communicative memory, past or present, in reference to the communist period.4 The equivalent of the Cold War in the East was the ‘peace movement’ from the propaganda point of view, while the populations in question most often refer to these times as ‘life under communism’. Three elements are particularly emblematic of this vision of history as seen through the eyes of the winners. The first aspect is the periodization of the exhibit, which stops in 1970 under the assumption that the beginning of negotiations for limitations of nuclear weapons (the SALT treaties, eventually signed between the USA and the USSR in 1972 and 1973) marks the end of the Cold War. Alas, the communist regimes did not come to an end in 1970 and this artificial ‘end of the Cold War’ meant nothing to the people in the Eastern bloc as far as their daily lives - art and design included - were concerned. Furthermore, the fact that the curators understood the era 1917-1970 as an epoch of avant-garde and utopian impulses does not entirely shed light on their understanding of modernity. The different affiliations and interconnections between art, modernity, design, utopia, nuclear fear and politics are subsumed under a globalizing view that presents the rivalry between the two superpowers in establishing their respective spheres of influence. But did art emancipate itself from politics after 1970? Was there no design to speak of from that year on? What defines ‘avant-garde’ and ‘modernity’ in this context? This insufficient conceptual clarity is reflected in the curious use of the adjective ‘modern’ in the exhibition title. Why ‘Cold War Modern’ rather than ‘Cold War Modernism’ or ‘Modernity’? 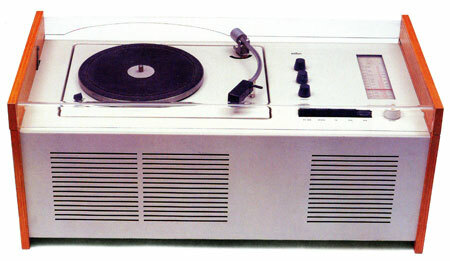 Dieter Rams and Hans Gugelot, Phonosuper, SK 55. Manufactured by Braun AG, Taunus, FRG, 1963. Finally, nostalgia and humour are never very far in an exhibit when figures such as James Bond and Dr. Strangelove become symbols of the Cold War, while Mister Spock and Monsieur Hulot embody living in the space age. How-ever, these are all Western figures. As seen from the West, the Cold War has indeed become retroactively fun. Although this was not part of the exhibit, President Reagan, for instance, cracked one of his most famous jokes, still available today on YouTube, during a sound check for his weekly radio address on 11 August 1984: ‘My fellow Americans, I’m pleased to tell you today that I’ve signed legislation that will outlaw Russia forever. We begin bombing in five minutes.’ Eastern European humour, on the other hand, was regretfully absent in ‘Cold War Modern’. Of a more bittersweet nature, it is held by some, though, as such a powerful weapon as to have laughed communism ‘out of existence’.6 However, emblematic Eastern films from the 1960s, for instance from New Wave Czech directors such as Jiří Menzel and Miloš Forman, do not describe the Cold War, which was a foreign, Western concept. They describe life under communism. ‘Cold War’ is no more synonymous with the period from 1945 to 1989 in the former East than ‘Real Socialism’ would be in the former West. Each side has a very different understanding and memory of this time. The reactions this exhibit sparked in some of the former ‘Eastern’ (Polish and Czech) media are nevertheless very interesting to study. Far from objecting to the discrepancy between Eastern design (as represented in international trade-fairs) and the Eastern way of life, the reviewing journalists proved to be surprisingly flattered to see some of their countrymen, even if they were regime artists, remembered this way in the West. Even a Czech communist propaganda poster from the 1950s entitled ‘Build the nation - you shall strengthen peace’ was now fondly acclaimed in Prague. Co-curator David Crowley gave the Czech press agency ČTK an interview in which he spoke of his will to ‘show that there were many talented people’ in the East and to ‘overthrow the usual image of greyness and shortages’ under communism, a discourse which was well received.7 It would appear that a certain pride is waiting to be restored in the former Eastern bloc countries for having ‘belonged to history’, even though the battle was fought on the wrong side and by illegitimate leaders. We can of course speculate as to how representative journalists are of the proverbial ‘public opinion’. But such reactions could be tale-telling of the upcoming victory of the Cold War in communicative memory on a European scale. A certain historical narrative is gaining momentum on the other side of the former Iron Curtain, which points to a pending, retroactive success of the West: that of conquering the minds via a progressing and uncritical ‘self-Westernization’ of historical perception. This ‘James-Bondization’ of history could not be better symbolized than by the enthusiastic praise that appeared in the Polish press of another exhibit running at the same time in London, at the Imperial War Museum: ‘For Your Eyes Only. Ian Fleming and James Bond’. ‘Cold War Modern’ will no doubt have contributed, albeit inadvertently, to establishing the concept of ‘Cold War’ as a trans-European memory of the period from 1945 to 1989. In this sense, it can also be praised for its dexterity in grasping, if not creating, the spirit of the times. All pictures are taken from the exhibition catalogue. 1 Many thanks to Nicolas Maslowski for his critical comments on this text. 2 See e.g. the following reviews from a German perspective: Bodo Mrozek, Die Form folgt der Angst, in: Tagesspiegel, 4.10.2008, p. 25; Ingo Petz, Ein Traum wird wahr, in: Süddeutsche Zeitung, 10.12.2008, p. 14; Gina Thomas, Auf der ästhetischen Überholspur, in: Frankfurter Allgemeine Zeitung, 17.12.2008, p. 33. 3 Hanna Schissler (ed. ), The Miracle Years. A Cultural History of West Germany, 1949-1968, Princeton 2000, Introduction. 4 See the oral history project ‘Border Communities. The Cold War in Communicative Memories and Public Spheres. Ten Case Studies in Border Communities’ conducted by the Ludwig Boltzmann Institute for European History and Public Spheres, Vienna: http://www.ehp.lbg.ac.at/en/taxonomy/term/174/index.html. 5 See Jürgen Danyel’s paper ‘Rudi Dutschke in Prag oder die Schwierigkeiten der westdeutschen Linken mit dem tschechoslowakischen Experiment’, conference ‘Der Prager Frühling 1968. Zivilgesellschaft - Medien - Politische und kulturelle Transferprozesse’, Prague, 15-17 June 2008. 6 See Ben Lewis, Hammer & Tickle. A History of Communism Told Through Communist Jokes, London 2008, cover jacket. 7 The ČTK article ‘A London exhibit examines the role of design under the Cold War’, published on 28 September 2008, was reproduced or quoted in numerous Czech magazines and newspapers. Muriel Blaive, Utopian visions. The ‘Cold War’ and its political aesthetics, in: Zeithistorische Forschungen/Studies in Contemporary History, Online-Ausgabe, 5 (2008), H. 2, URL: http://www.zeithistorische-forschungen.de/2-2008/id=4415, Druckausgabe: S. 313-322.